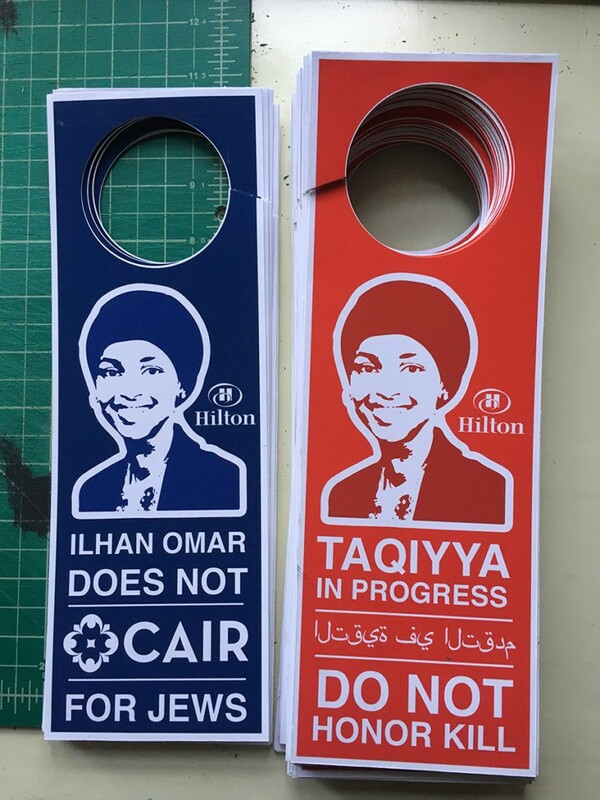 Ilhan Omar is scheduled to speak at a fundraiser for the controversial Council on American-Islamic Relations (CAIR) in Los Angeles Saturday. 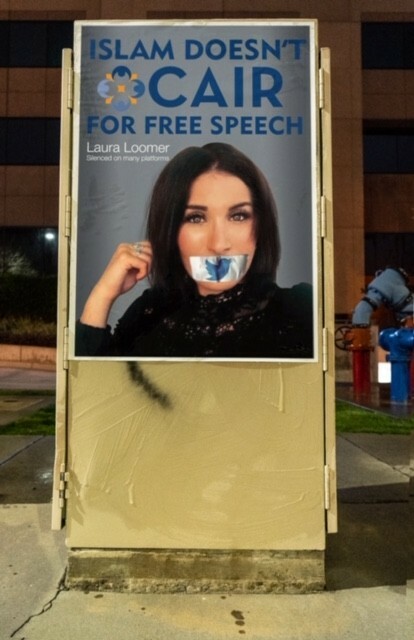 Counter-events have been organized against her appearance. 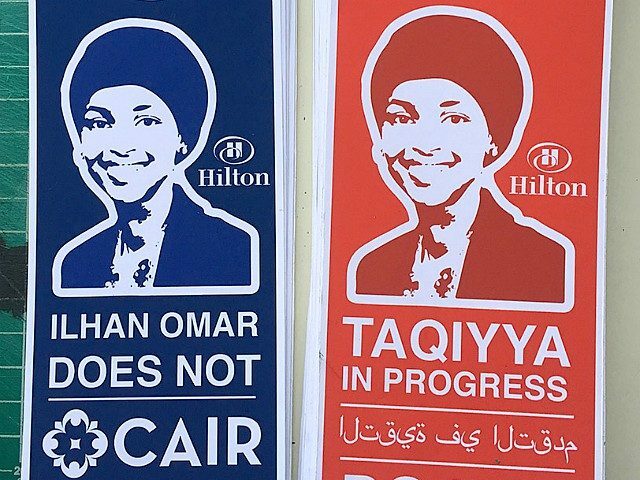 “CAIR-LA is honored to have Congresswoman Ilhan Omar (D-MN) as the featured speaker for the 4th Annual Valley Banquet,” the group’s website states. 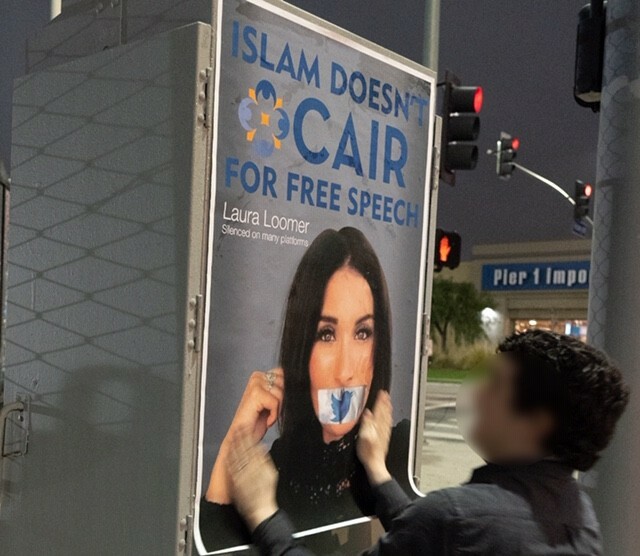 The posters also mock CAIR for not supporting free speech. 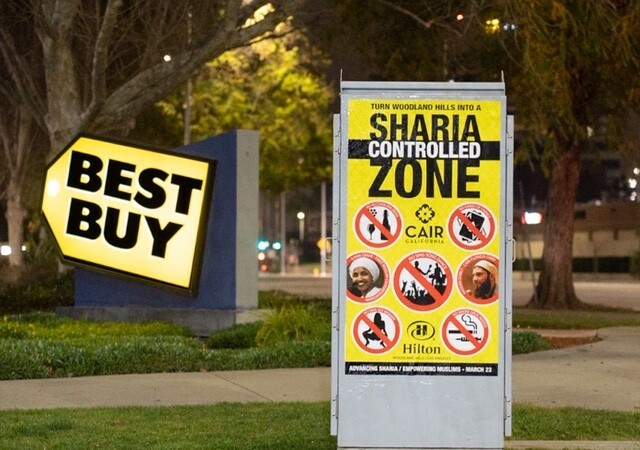 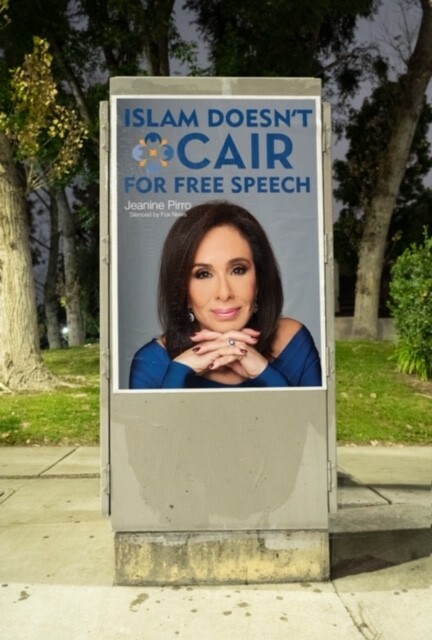 “Islam doens’t (CAIR) for free speech,” one poster reads, along with photos of conservative provocateur Laura Loomer and suspended Fox News host Jeanine Pirro. 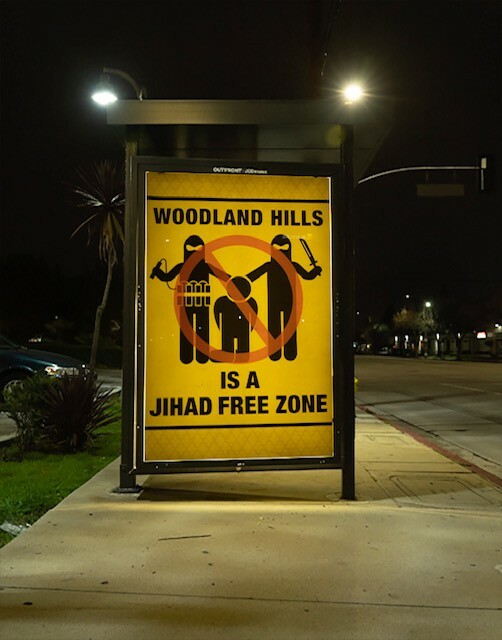 Sabo routinely uses his street art to mock progressives in politics and Hollywood. 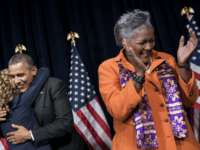 He recently ripped Texas Democrat and 2020 hopeful Beto O’Rourke for his drunk driving arrest.